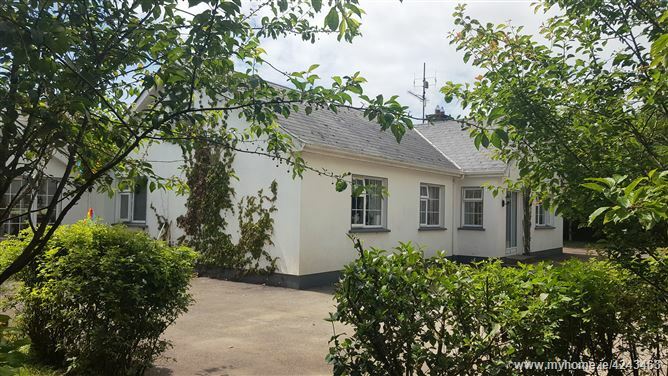 Spacious family home in idyllic,private rural setting only a few minutes drive from Gorey town, Kilanerin village and junction 22 of the M11 motorway north of Gorey. 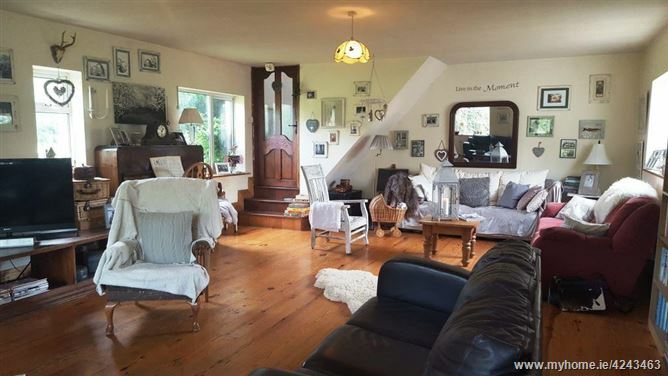 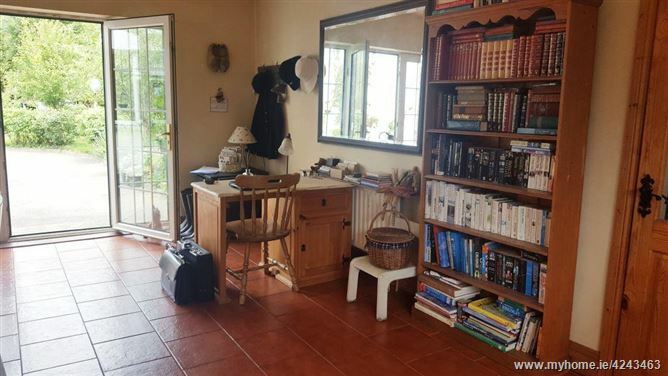 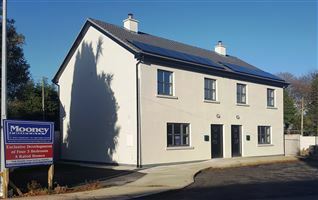 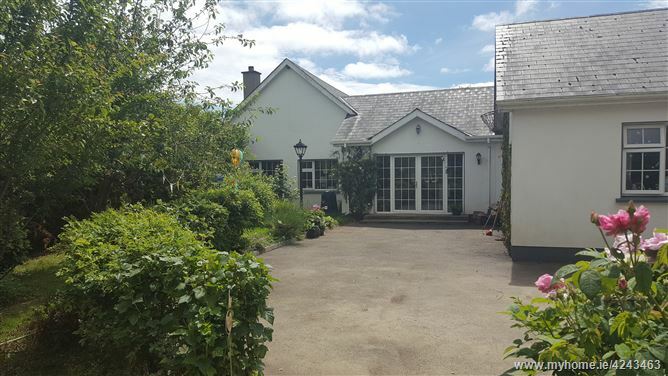 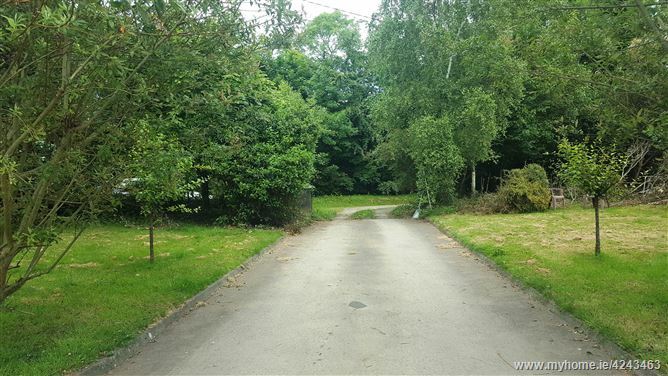 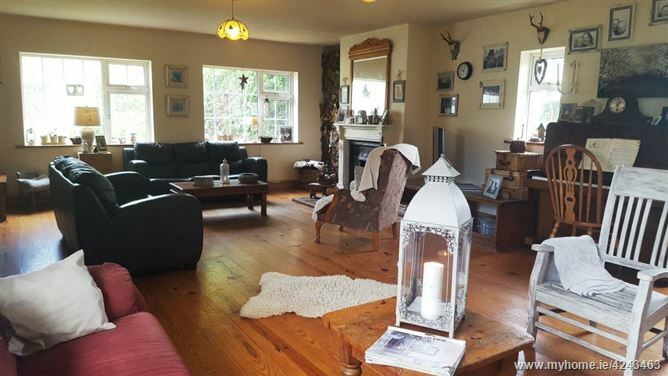 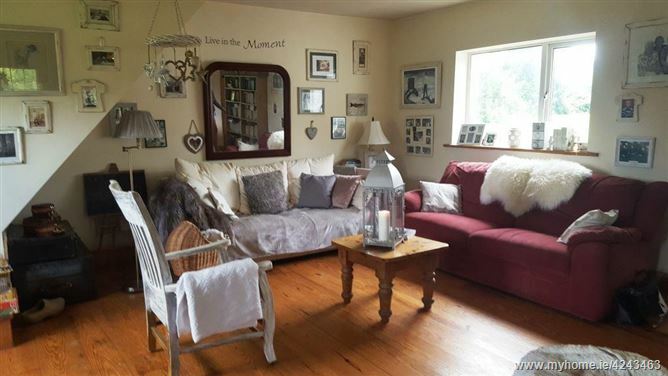 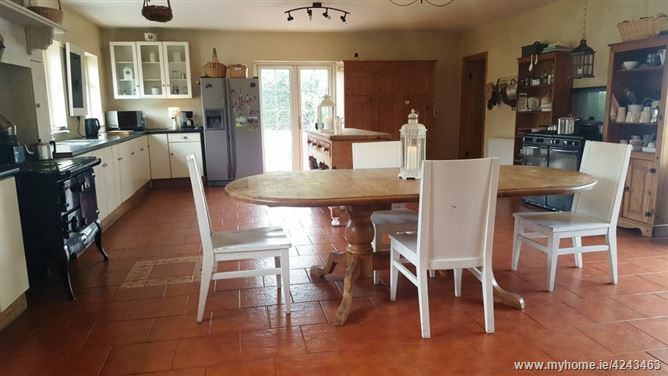 This spacious property extending to circa 297M2 (3200 Sq Ft) is situated on a picturesque tree lined country lane way in a peaceful rural setting yet within easy access of Gorey town and all amenities. 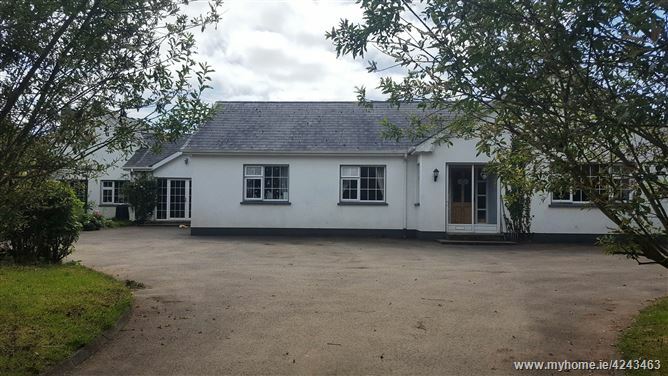 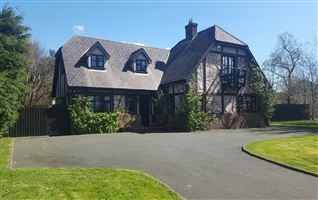 Its’ very generous floor area – with exceptionally large farmhouse style kitchen and equally large living room make it an ideal family home in a very unique, private setting. 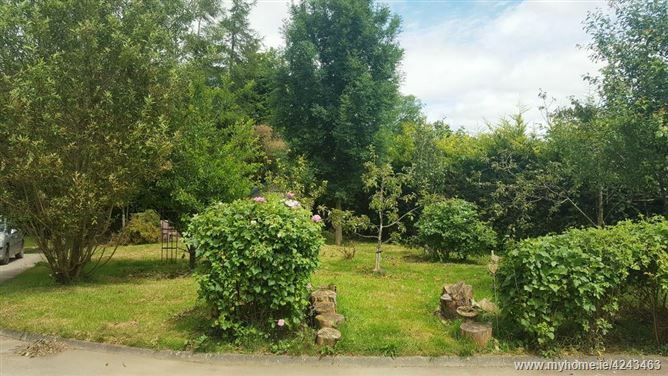 The picturesque village of Kilanerin is less than a 5 minute drive away. 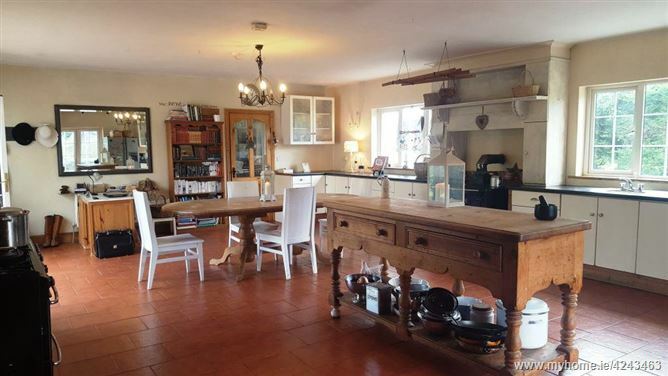 Fully fitted cream kitchen with all appliances. 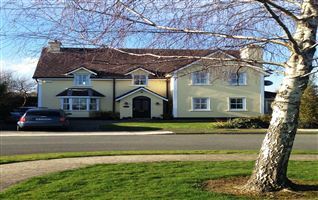 Solid Fuel Waterford Stanley – heats water and radiators. 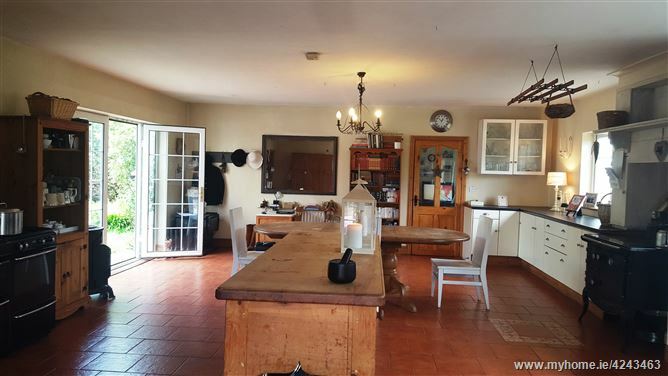 7 ring duel fuel cooker. 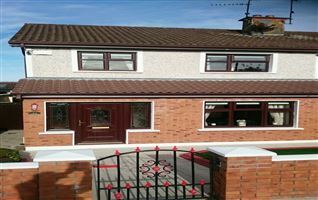 2 sets of patio doors off to gardens. 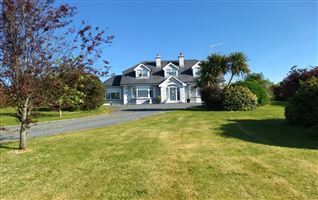 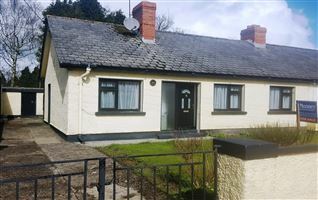 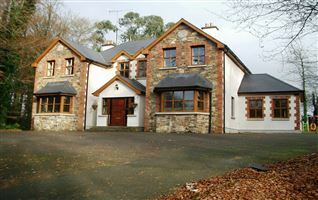 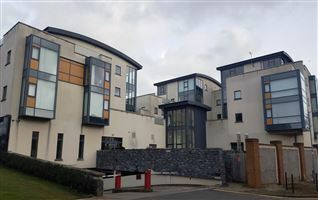 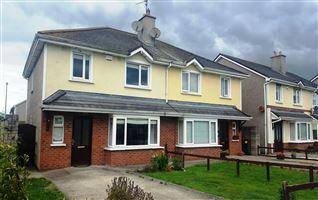 Contact 053 948 0291 / 087 2602310 to arrange a viewing. 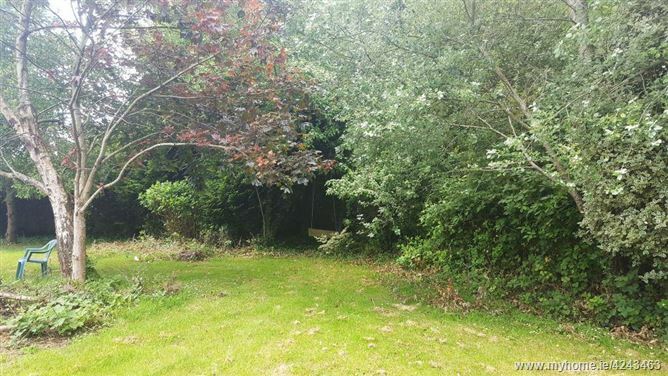 Abundance of mature shrubs & trees.